An instant fairness sheet mask that gives radiant, glowing complexion. 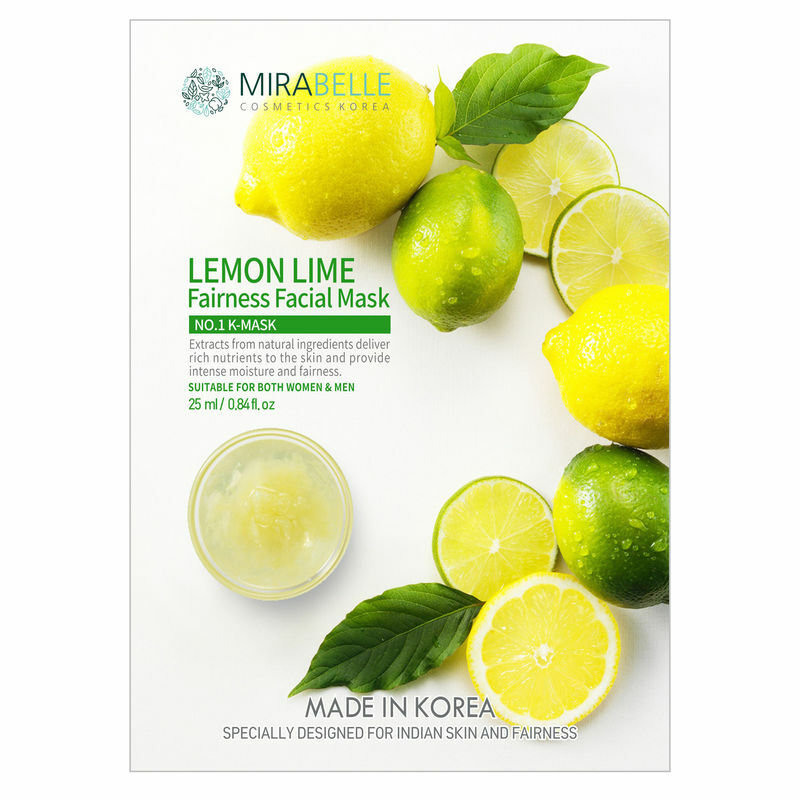 Mirabelle's Fairness Facial Mask with Lemon and Lime Extracts is specially formulated for Indian skin. It delivers rich nutrients to the skin and provides intense moisture and fairness. It contains complex lime extract that helps get your skin a bright and clear complexion. Provides vitality to your skin with intensive brightening care effect. Explore the entire range of Sheet Masks available on Nykaa. Shop more Mirabelle products here.You can browse through the complete world of Mirabelle Sheet Masks .